FABER PLAZA North Charleston's premier new 125,000 SF office building located in the Executive Park. Faber Plaza is home to Blue Cross, Cummins, HDR, Sonepar, TY Lin, and TranSystems. 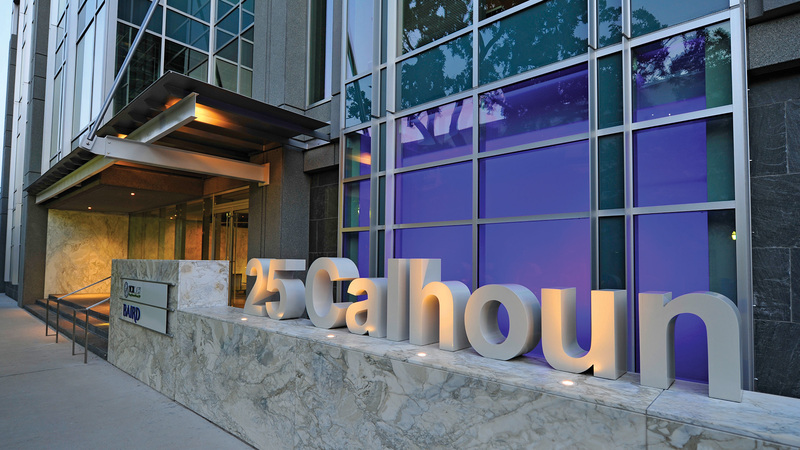 25 CALHOUN ST Prominent downtown Charleston office building. The 65,000 SF property, anchored by YCR Law Firm, overlooks Gadsdenboro Park and the City. 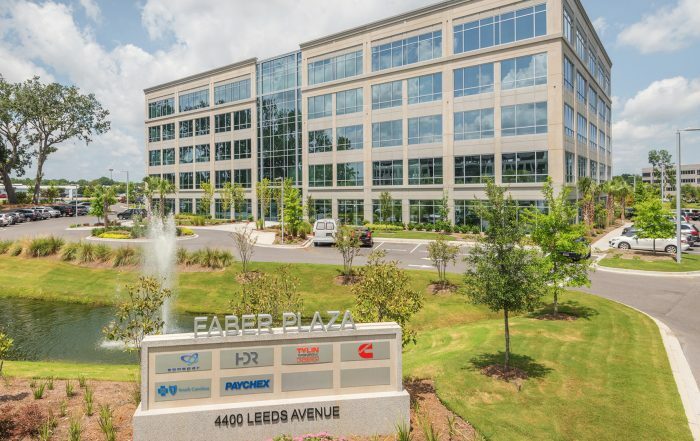 FABER CENTRE The 95,000 SF office building is located in the Executive Park, near the intersection of I-526 and Leeds Avenue. Faber Centre is accessible and efficient. GATEWAY MOUNT PLEASANT Opening October 2018. 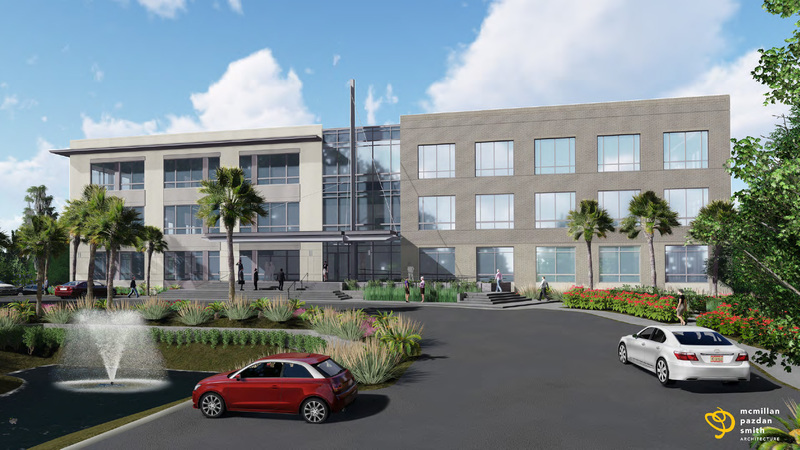 The 65,000 SF office building has direct access to Hwy 17 and Coleman Blvd. 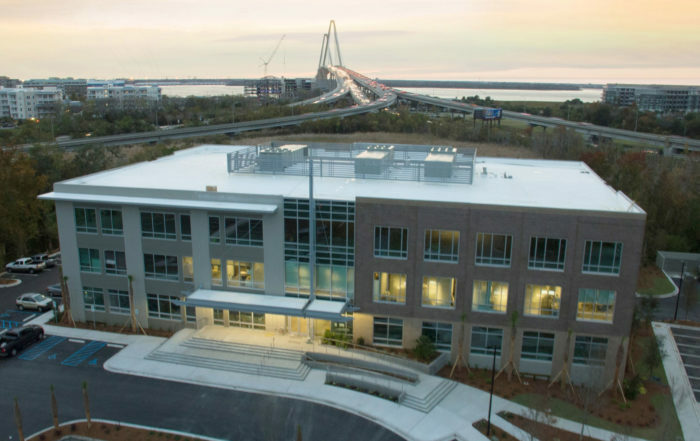 Gateway offers unparalleled views of the Ravenel Bridge, river, and marsh. 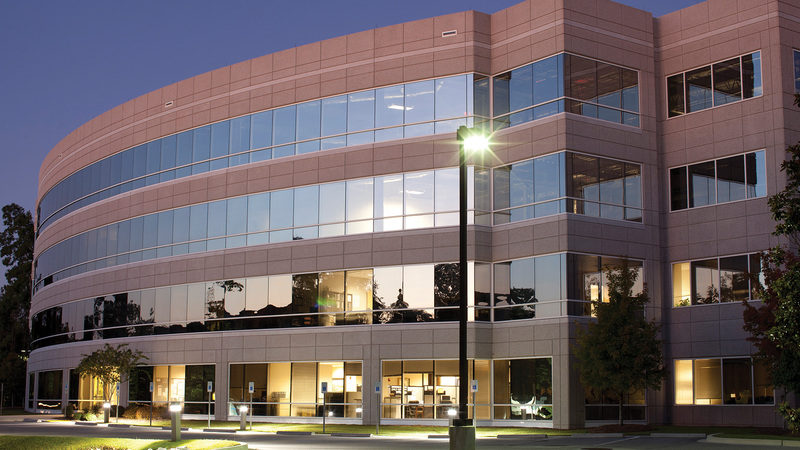 Founded in 1979 by Marcus R. Durlach III, Durlach Associates sets the standard in developing and managing Class A office buildings in the markets we serve. Our professionals have expertise in development, leasing, property management, marketing, construction, finance, and architecture. Durlach Associates develops many of the region’s largest and most successful office projects. Tenants include Fortune 500 companies, law firms, engineers, financial services groups, technology companies, and other professional organizations which value high-quality work environments. Our team oversees every aspect of development from initial concept through site selection, design, financing, permitting, construction, and commissioning. Durlach Associates consistent record of delivering projects on time and within budget satisfies tenants and produces excellent returns for investors and partners. 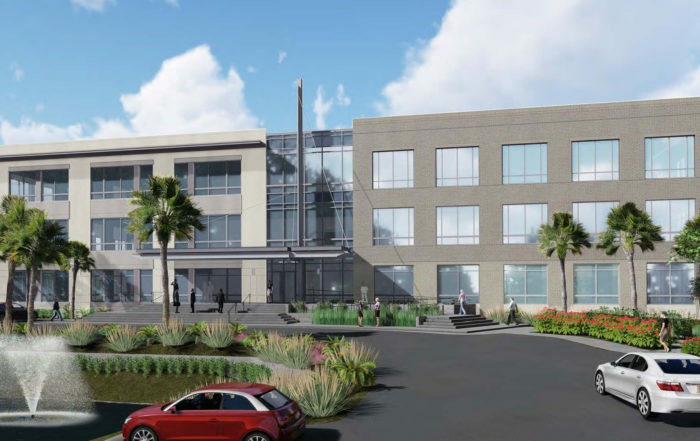 Durlach Associates has developed, leased, and managed in excess of 1.7 million square feet of Class A office space, and is actively working on projects for future delivery. Effective leasing is key to successful development, and Durlach Associates has completed millions of square feet of leasing transactions. The company’s portfolio averages 95% occupancy. Because we develop, manage, and own properties, we are able to simplify the leasing process, saving tenants and brokers time. We accommodate tenants ever changing space needs by pairing the requirements of expanding and contracting companies and through new development, creating long term, trusted relationships with tenants, brokers, and investors. Durlach Associates understands that well managed facilities enhance productivity. High performance work environments are the result of dedication and attention to detail. Established procedures, on-site personnel, and the latest technology help expedite resolution of tenant service calls and simplify operations. Properties managed by Durlach consistently outperform with a better caliber tenant, higher rents, superior tenant satisfaction, and industry leading retention rates. After adjusting for tenants whose renewals Durlach cannot influence, the company’s tenant retention rate has exceeded 90% over 40 years. Sustainable development and operating procedures are good for the environment and create economic value for tenants and landlords. 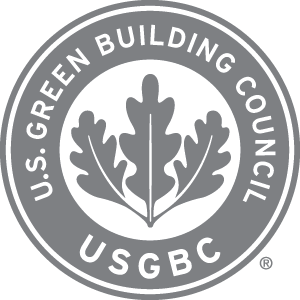 Durlach Associates, a member of the U.S Green Building Council, operates properties in a manner which maximizes energy efficiency. Durlach Associates has always worked to reduce waste and energy consumption. Today, our long standing commitment to creating productive, inspiring workplaces means developing and operating the greenest buildings possible. 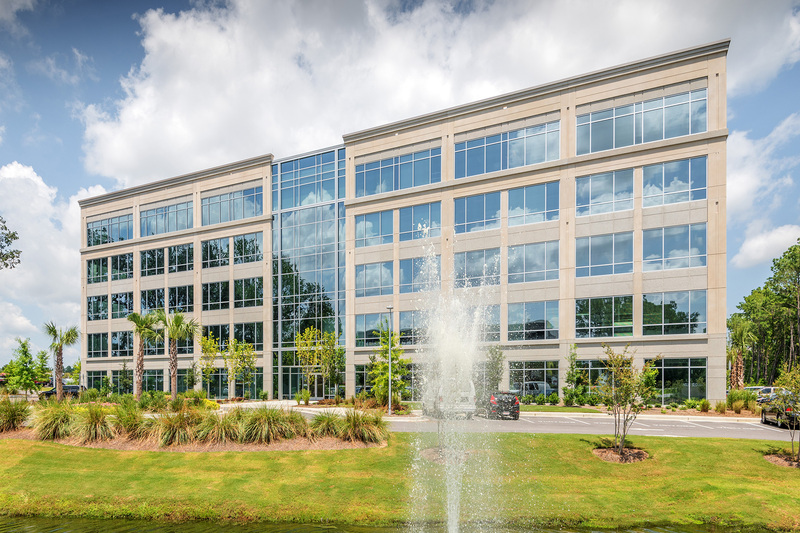 Durlach properties have earned multiple ENERGY STAR’s and LEED designations ensuring the company’s position as South Carolina’s leading developer and manager of sustainable office properties.